A hundred years ago, the British conceived a design to dam the Periyar river, which runs through some of the most spectacular forests of the Western Ghats in Kerala.The dam was constructed in 1895.Today the 300-sq-mile (777-sq-km) sanctuary is a Tiger Reserve. The actual reservoir is 21 sq miles (55 sq km) and it meant that the best valley forests were submerged and lost. The black stumps still to be seen jutting out of the water, which is a wonderful sight in the early winter mornings as the mist rises, are the only remains of the richly vegetated valley. But the dam also made some compensations. 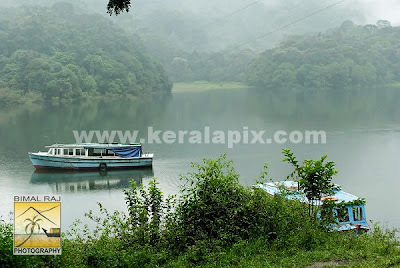 Periyar has become one of the most picturesque wildlife sanctuaries in the world.